Free trial has no time limit (with ads displayed). The full version is ad-free. A convenient phone card dialer app. Help you simplify the use of a phone card or special access number to make a phone call. 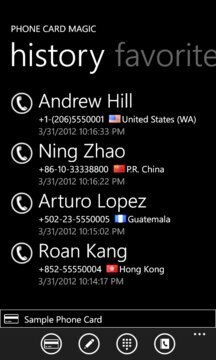 Making a long distance call using calling card is just a one click operation. 2. You can define multiple phone cards and easily switch between them. 3. Save the access number and PIN in the phone card setting so they can be dialed automatcially. 4. 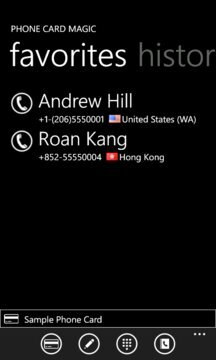 Powerful and flexible rules in the phone card settings that can cover most available calling cards in the market. 5. Call a number from the contact book or you can type a number using keypad. 6. Can handle special prefix access code for long distance call too. It's free to try the trial version (which has the full functionality) as long as you like, but the full version will be Ad free if you purchase it.